Trolley moves on the rails to shift concrete and other construction material from one end to another. “We are associated with Safari since the time of its inception. Their excellent quality & prompt service has made us stay with them till today.” Mr. Nagesh Sakharkar, Manager - Purchase, Nyati Builders. 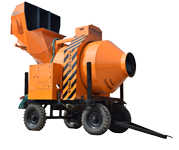 “The excellent quality of construction machines which run like new even after years of use have made us go back to Safari Construction Equipments again and again.” Mahendrabhai, Founder & Chairman, National Builders Infrastructure Ltd. Vadodara. “JK Mini Cranes not only give us value for money, but value addition to the money invested in them.” Mr. Dutta GM Gannon Dunkerley & Co. Ltd.
“I can confidently say that nobody in the entire Indian market can match the features and outstanding performance of JK Mini Crane.” Mr. B.C.Desai, B.E.Billimoria & Co. Ltd.
Safari Construction Equipments Pvt. Ltd.
© Copyright Safari Construction Equipments Pvt. Ltd., All rights reserved.